Herald. Idol. Blocking Figure. Trickster. Those characters certainly fit Alice’s different branches of Arithmetic, don’t they? These four are categorized with the Tests, Allies, and Enemies (Stage 6 for the Archetypal Story Pattern). However, they don’t really fit the classification of ally or friend. They are neither. Perhaps they are something else entirely. Let’s call them “Stumbling Blocks”. In the first of the Allies and Enemies post (August 10), we discussed three types of allies. Threshold guardians present tests. Classic allies buttress the protagonist. Foils foreshadow what will happen if the protagonist doesn’t learn the lessons of the tests. We also mentioned that the Love Interest should not be an objectified reward or elixir, but should enact one of the 10 roles of the allies/enemies. The four characters in this blog are stumbling blocks for the protagonist. Herald = Ambition = the goal to be achieved. An announcer of information, the herald seems a brief, walk-on character important only for that information. How can the herald be a stumbling block? Many writers use the herald to inject humor and quirkiness or edginess and doom into their stories. The herald can be a casualty of random evil or of the antagonist’s directed evil. Understanding the herald’s message can form the test. The message often comes as a riddle. Riddles can misdirect or mislead the protagonist. When the message is a simple truth, the protagonist can be tricked into ignoring it. Worse, s/he may overlook its significance. 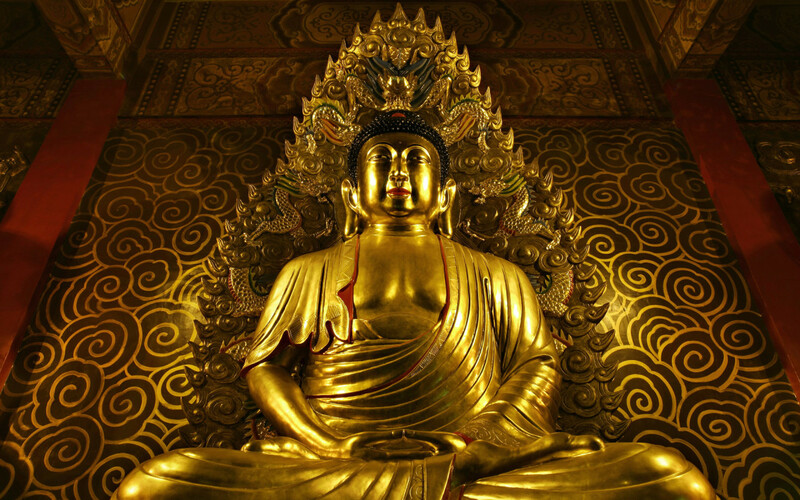 A golden idol may seem like a dream, but it hides the reality in glittering falsehoods. The Idol may create a golden dream for the protagonist. Realizing the Idol is merely human is a lesson for the protagonist. The idol’s “uglification” process may even descend to walking in mucky mire. And the protagonist will never have imagined the soil that begrimes the erstwhile Idol. When faced with the reality of the fantasy, people will deny the reality and cling to the fantasy. Then they willfully blind themselves. When they do accept the truth, they are dejected or become apathetic. The Idol is a noun: person, place, thing, or idea. Disappointment alone is not a strong test. Click here for a protagonist’s responses to an idol’s “uglification”. Like the Herald, the Blocking Figure causes the protagonist to stumble on the heroic journey. BFDs can take away what the protagonist expected to use. They can supply wrong information. They can literally stand in the way. Their intervention causes the protagonist to stumble, start again, go around, or plow through. One of the most misunderstood characters is the Trickster. 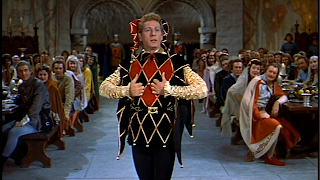 Danny Kaye in “The Court Jester”. The Fool seeks the audience’s ridicule to build them up while tearing himself down. The Trickster learns to manipulate the audience and thus outwit them. This archetype has two sides: Fool and Trickster. The Fool makes mistakes and never learns. The Fool, like a court jester, plays to an audience. He doesn’t care about the audience’s derision. All he wants is laughter. His actions are actually reactions, a cyclical feeding off the audience. The Trickster acts. He thinks of a thing to do. Next, he half-anticipates the result (usally, only the best result). Then he does the thing. The consequences are not his concern. He does care about derision. That derision is the very reason he begins to change. A protagonist can start as a trickster, as Odysseus did. The trickster who never cares about the consequences to others cannot be a true protagonist. Sept. 10 will focus on the Enemies of Stage 6: Tests, Allies, and Enemies. Enemies oppose the protagonist. Does that make them evil?